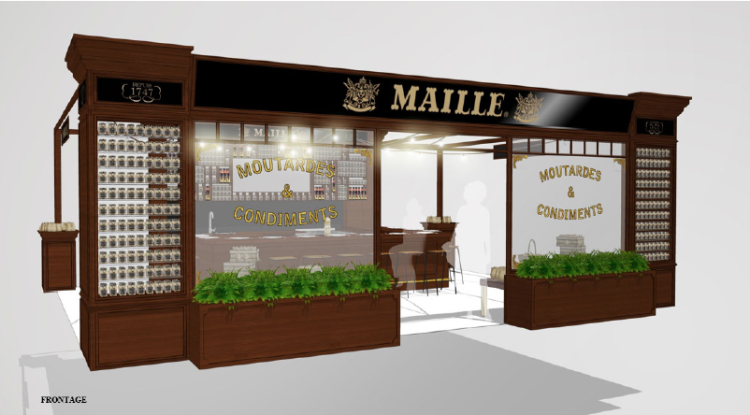 Mustard is one of my favourite condiments, French Dijon is my preferred mustard, and Maille is my Dijon brand of choice. The mild flavour of moutarde Dijonnais, is perfectly balanced in terms of acid and spices, just right for my signature vinaigrette. I’ve spent some time around Dijon: the medieval coloured roofed buildings of Beaune, the unspoilt Parc de Morvan, the Cote D’or vineyards of the Bourgogne. 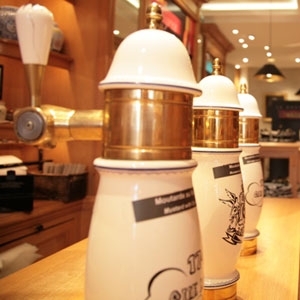 The route between Dijon and Lyon is the chemin of gastronomes and oenophiles. 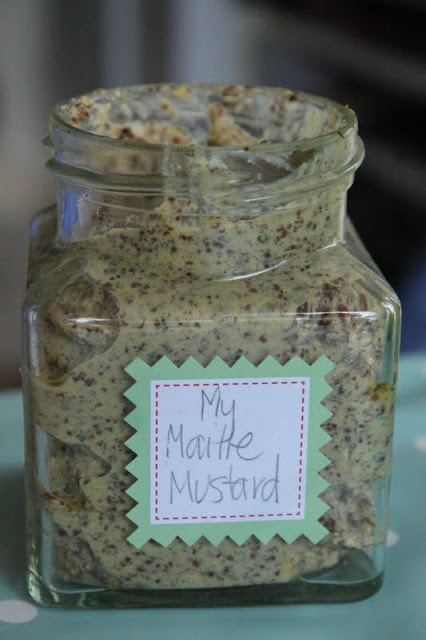 After having a go at making Marmite, I decided to try mustard, an altogether easier process. I was inspired by this authoritative tome on Mustard by Rosamond Man and Robin Weir as well as a trip to the Unilever HQ. Mustard, one of the few spices native to Europe, is one of the oldest spices and like honey, it never goes off. 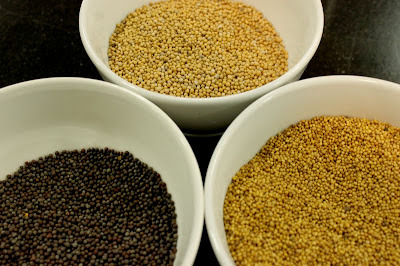 There are three varieties of mustard seed: white, brown and black. White, the mildest, is often used in American mustard (say for hot dogs), brown is the base for French mustard while black seed, the strongest, gives Indian cooking it’s piquancy. 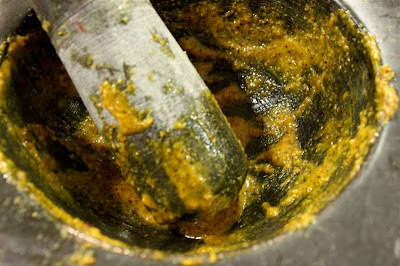 Put the mustard seeds, sugar, salt, turmeric and herbs into a pestle & mortar and blend together. Leave to stand for 10-15 minutes, to thicken slightly. First of all I soaked the seeds overnight in the verjuice (unsweetened grape must). Then I ground in my mortar and pestle all the dry ingredients. I broke the skins of the seeds in a mortar and pestle as I didn’t have a spice grinder. I had to do this as they just bounced around in the food processor. Then I combined all the ingredients in the food processor. Again, if the seeds are just bouncing around, add some more verjuice or white wine. Taste for salt and add the honey. 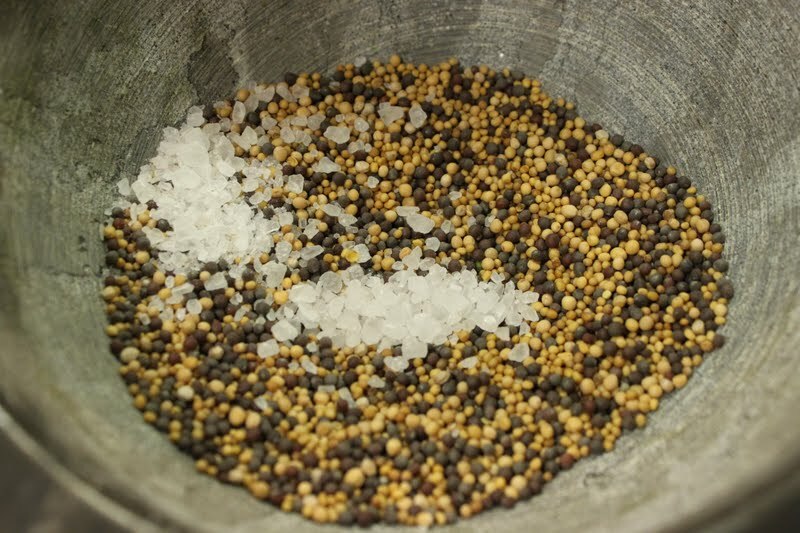 You could make it a smooth mustard by sieving the mixture through a metal sieve like a chinois. The slightly bitter taste of the mustard seeds softens after a few days. 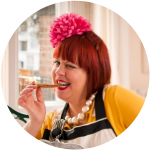 Heating slightly also makes the mustard milder. All mustard is hot, it’s through heating that we obtain different strengths. 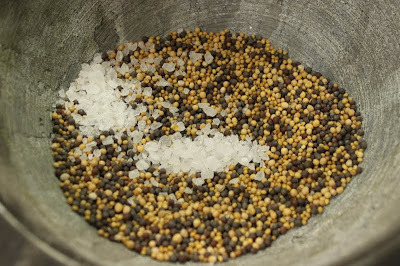 Mustard has health benefits and was often used as a paste to stimulate the circulation, to improve the memory and give relief from scorpion bites. Mix up some mustard powder with water and flour, spread it on brown paper and wrap it around the affected part with gauze. Leave for ten minutes or longer if you can stand it. A mustard bath is also beneficial. I’m swilling all my mustard recipes around in my brain in preparation for Bastille Day and July 15th at the Spitalfields Maille mustard pop up. A bientot mes chers amis! I think I'll have a go at the sweet wholegrain!